Knock off the cool morning chill with this great jacket! 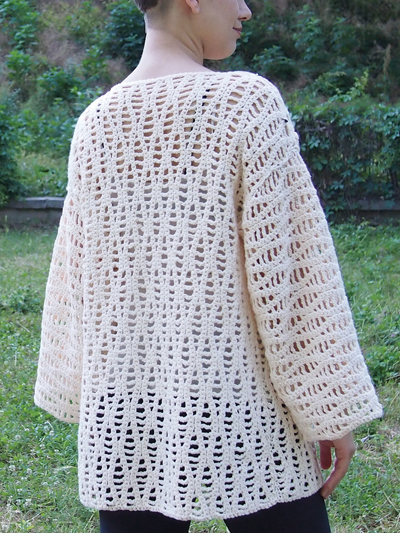 Design is made using 1,250 yds (1,375 yds) of worsted-weight cotton yarn and a size H/8/5mm crochet hook. Pattern includes written instructions as well as step-by-step photos. Size: S/M (L/XL).